This is my weakness: I don’t have a green thumb. Some things grow better than others, some are a lost cause right from the start. If plants die, it may be of lack of something, but it’s not of lack of me trying, that’s for sure. Apart from guidance from the local nursery and botanical books, I use words. My family laughs at me, because I talk to my plants. I encourage them, I praise them and I threaten them, too. Now, there are some plants, that just don’t ‘get’ me. One could probably say that we just don’t speak the same language 😉 Roses, for example: tried many times, failed every time. In the veggie patch, carrots always fail, even though they are apparently sooooo easy to grow. And I confess, I have killed a number of cacti. Cucumbers on the other hand grow like weeds, so does my parsley and my chives. The ponytail grows faster than any at the nursery, it seems, and the fountain grass can hide our complete family plus camper van (which we don’t have). 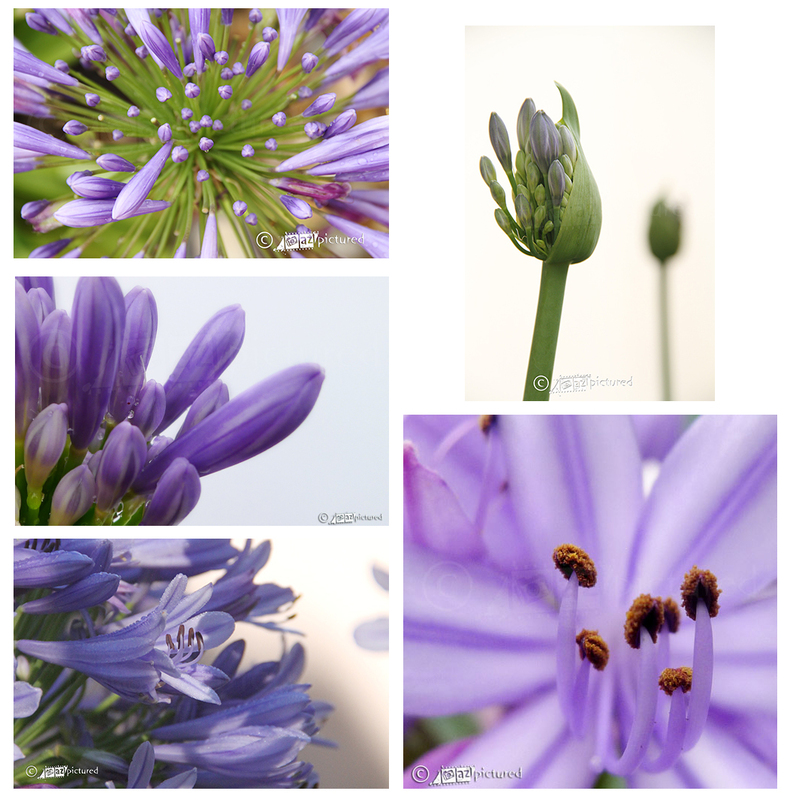 But the best of all is the Agapanthus: love them, love them, love them. They grow beautifully. Seem to survive on the smallest amount of water and fertilizer and thrive on the most amount of words. And, I swear, they like having their photos taken. This is a snippet of the photographic result over several days. wonderful gallery. I love them, too, but they are not hardy in our climate, unfortunately, By the way, every flower needs special soil, roses love loamy soil.